Plumbing problems are one of those unavoidable facts of life. You can’t live anywhere for very long without having some kind of issue with the plumbing, from the everyday and mundane to the truly scary. There are some things that can be fixed with DIY skills and the right tools. Then again, there are some things that only a plumber should handle. Learn how to tell the difference. Even a small drip can make a big difference to your water bill. What many people don’t know is that many dripping faucets are easy to fix. After you shut water off to the faucet, you’ll need to remove the handle cap and packing nut and replace either the cartridge or the washer, depending on what type of faucet you have. Look up your faucet online or in your owner’s manual, and you should find step-by-step instructions for performing one of these actions. Before you call a plumber for a slow or clogged tub or sink drain try to manage the problem on your own. Plumbers will charge their usual fee for this issue which may only take a few minutes to fix. Don’t ever pour chemical drain cleaners into your pipes. These chemical mixtures can damage your pipes and create even bigger plumbing problems. Use a snake to either pull out the clog or push it down and out of your pipes. Don’t be too aggressive with the snake and take your time. You can work your way through many sink and tub clogs. 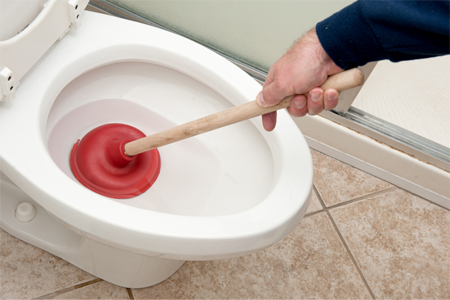 Having a clogged toilet is a nightmare, but in many cases you can fix this issue on your own with a plunger or a toilet snake. However, you need to make sure this is a simple clog and not a sign that your sewer system is backing up. A backed-up sewer system is usually accompanied by a strong smell, and will often create multiple drain problems in the house. If your sewer system is clogged, you need to contact a plumber immediately. They have sewer cameras and specialized equipment designed to manage this problem. Not getting any hot water? Unless you have a pilot light that’s out, you need to call a plumber. Sometimes the fire will go out on gas heaters, which means they only need to be re-lit. But for any other problem, you should consult with a professional. 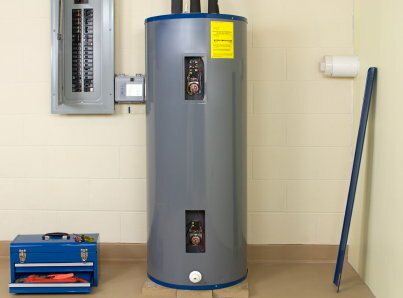 Water heaters can be dangerous when they build up too much pressure due to a malfunction. Don’t take any chances; seek out a professional. A running toilet is one of the most common plumbing problems of them all, but it’s also one of the easiest to fix. Call a plumber and they’ll charge you for an hour for about 10 minutes worth of work. Often, a running toilet can be repaired with a new part that costs less than $10. It’s called a flapper, and it’s available at any home improvement store. The flapper is the plug-like rubber piece you’ll notice at the bottom of the toilet tank. Flush the toilet with the tank open, and you’ll see it lift up. That’s your flapper. Replace this small part, and your toilet should stop running. There are some plumbing problems you can easily fix on your own, but then there are some you shouldn’t even mess with. Know how to tell when to DIY and when to call the plumber, and you’ll spend less time and money on all your plumbing problems.